The 4th of July is a wonderful time as we take time out of our busy schedules to celebrate what it means to be an American with family, friends and patriotic strangers. While each of us honors this country in different ways, one thing that unites us together are sports. And one way to unite through sports is to digitally sign the #SaveTheCrew 2019 Pledge, in which fans commit to buyimg a 2019 season ticket or multi-game tickets under new local ownership that’s currently at more than 8,000 signatures. This certainly brings some added clarity to this growing movement. The competitiveness, strategy and overall fun of playing baseball in a sandlot, throwing the pigskin around the yard with relatives like the Gellers, shooting hoops in the driveway or at a local school that spark memories of “the good old days” when we could totally dunk the ball or kicking the soccer ball at a nearby park, sports allows us to take the necessary breaks from the relentless 24/7 grind. There’s an unrivaled clarity through the lens of athletic competition. Simplicity reigns supreme, allowing for perspective and reflection whilst moving forward. Our favorite sport goes as far as serving as a guiding metaphor for life, shining a new light on trying situations and problems both old and new. However, if our athletic metaphor becomes clouded or polluted with perceived corruption, then our beautiful sports-related escapism begins to feel like a never-ending escape room. Crew SC owner Anthony Precourt recently spoke in front of the Austin City Council concerning a potential stadium location in Austin, Texas called McKalla Place. Mr. Precourt uninspiring read his statement from a sheet of paper with his head angled downward as if trying to fail a high school public speaking class with arguments that were void of reality and sincerity. Anthony Precourt is still the antithesis of everything that makes soccer fun, valuable and memorable in any community. Anthony Precourt is still a slimy snake oil salesman. Anthony Precourt is still selling his pseudo-prowess and “dedication” in building a new soccer stadium and community in Austin while he is currently trying to destroy one right here in Columbus. 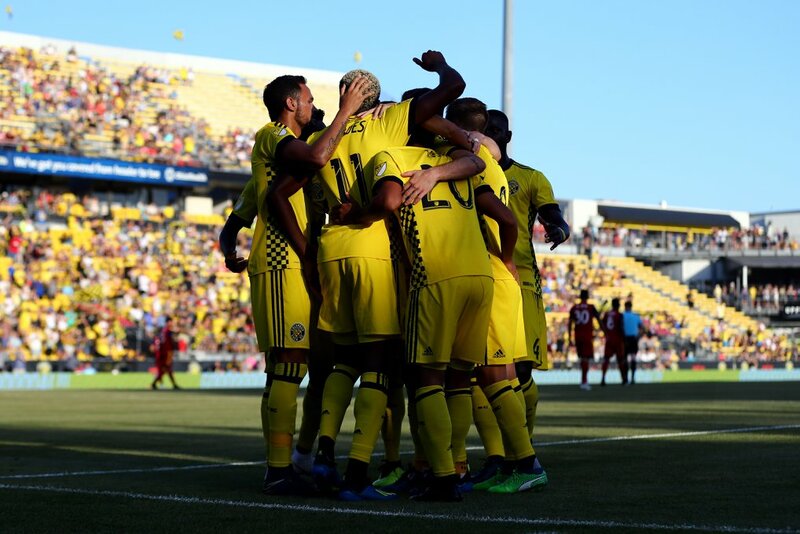 Time will tell if the #SaveTheCrew movement’s veritable declaration of independence—the 2019 ticket pledge—will lead to regaining the identity of the Columbus Crew and simultaneously American soccer moving forward. One thing we do know in America is that a long list of signatures, admittedly less consequential yet still in the same determined spirit as this country’s incomparable Declaration of Independence, has the potential for leading to lasting, transformative change.